Today was a great day and I feel like I’m finally turning a corner with the downward spiral I’ve been on physically the last week. 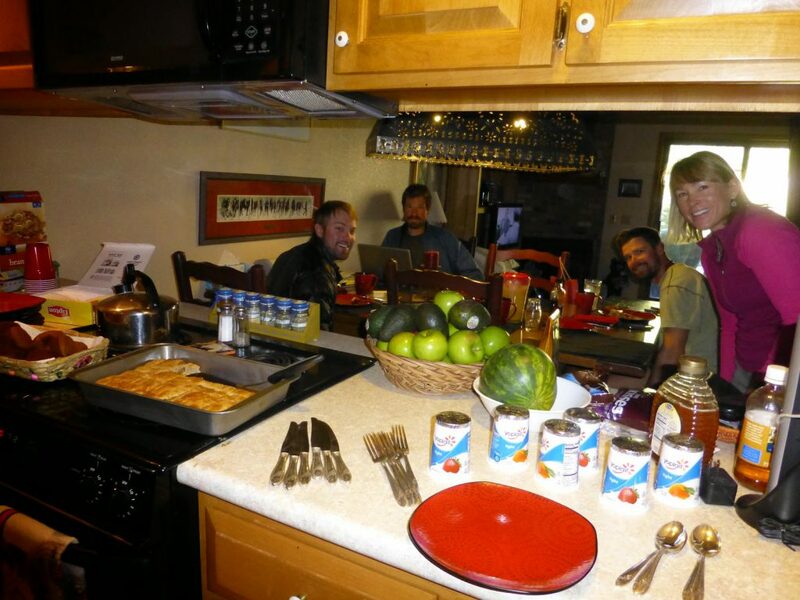 We started by waking up to a homemade breakfast at Wiffer and Gogi’s house. 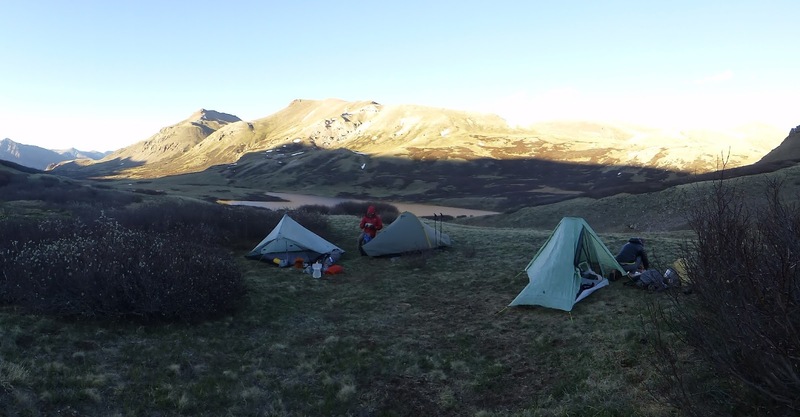 They are just amazing and have been taking in up to 6 hikers a day and fully taking care of them with laundry, showers, food, and just wonderful hospitality. We had a wonderful group and it was nice to overlap with them on our brief stay. Wiffer’s son who is a triple crowner even called and Skyped with all of us and he was on a hiker high to see so many hikers there while he is in another world in Washington D.C. It was pretty cool. 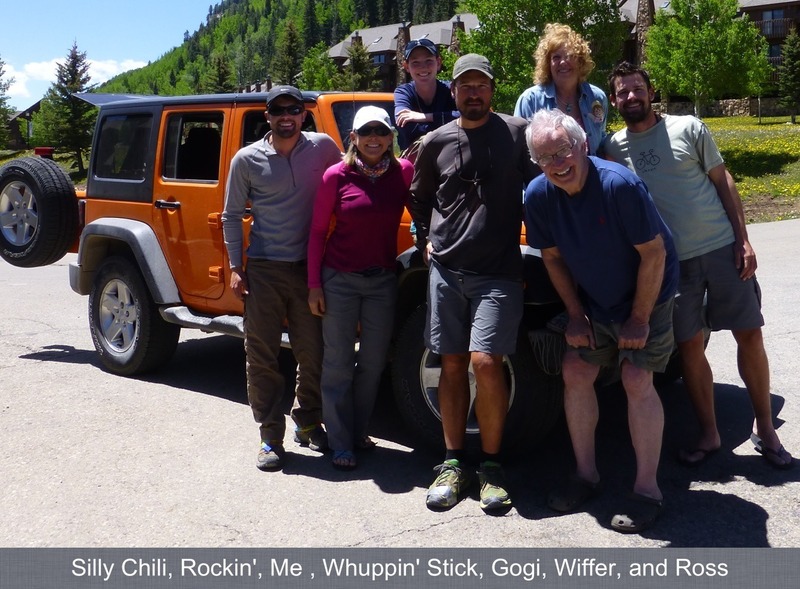 Here we all are at breakfast and in front of the jeep(named Pumpkin) before Wiffer drove us back to the trail at Stony Pass, which is an extremely rough, winding, and steep road. I got my most recent resupply for the next two days and my stepsister had sent my first spaghetti mountain house for this trip(which I love!) 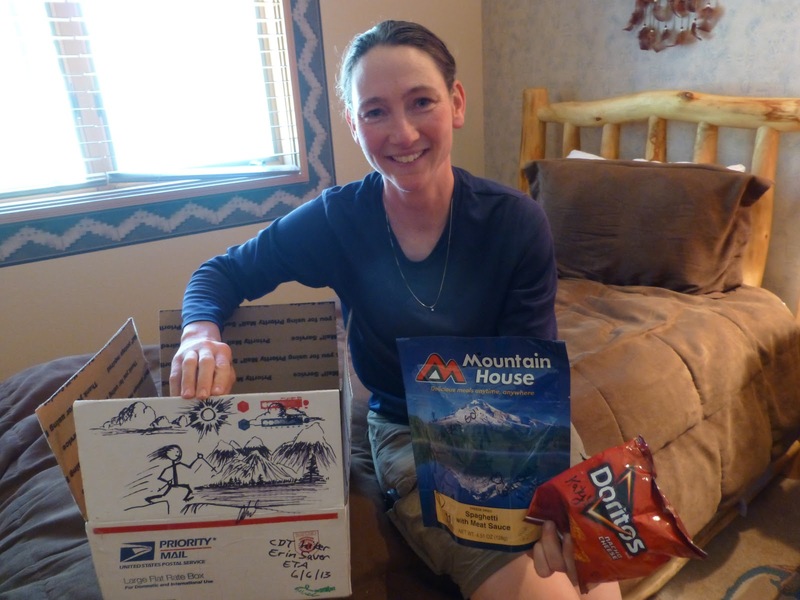 along with Doritos and a great drawing on my resupply that her husband drew. THANK YOU Katy and Chad. We got dropped off around 2pm with Whuppin’ Stick and the four of us hiked in 10mi on some of the best trail we’ve had since entering Colorado! The trail now overlaps with the Colorado Trail for about 100mi here and will again later on. 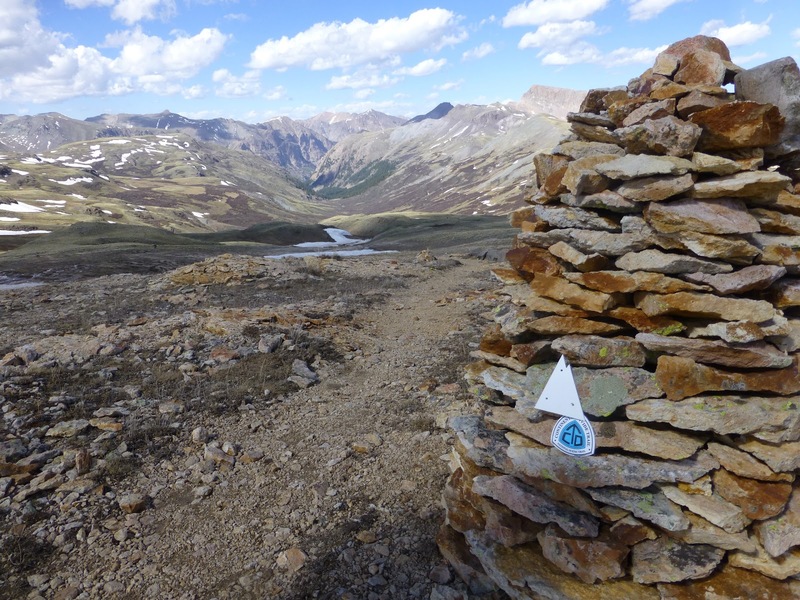 The Colorado Trail and CDT symbols on the cairn. It was great and has also turned a corner literally and figuratively. It was really fun today as the mostly snow free trail wound in and around the green hills and more gorgeous landscapes over every peak and turn. 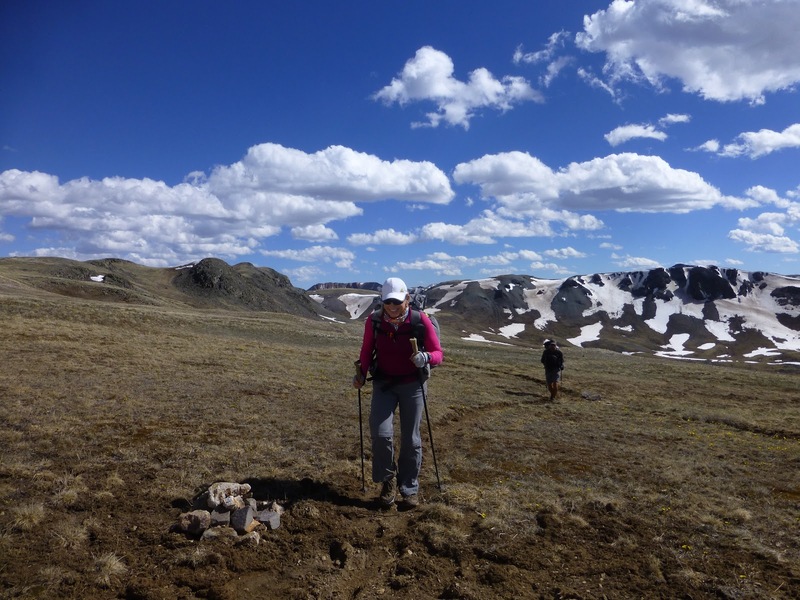 We all sent home our ice axes and microspikes, so it was also wonderful to drop that weight! While we were at the post office, we also saw the rest of the crew sending their gear home and they probably got on trail a couple of hours after us. We came to our highest point so far just under 13,000ft and got a group shot. I’m finally rebounding from the slump I’ve been in physically. We are going to be well over 12,000ft today and tomorrow and even over 13,000ft and I finally felt great and the altitude wasn’t bothering me. I didn’t take the inhaler today until just this evening as we are camped high and am coughing a bit. My thigh is still sensitive as I seem to have pulled or strained a muscle in the front. It is most painful downhill, so I have shortened my stride and am very cautious not to put full weight on it going downhill. Not a painful as yesterday, but definitely there and slowing me a bit. I stretched more, but that may not be helping. We’ll see how tomorrow goes. There is hope! 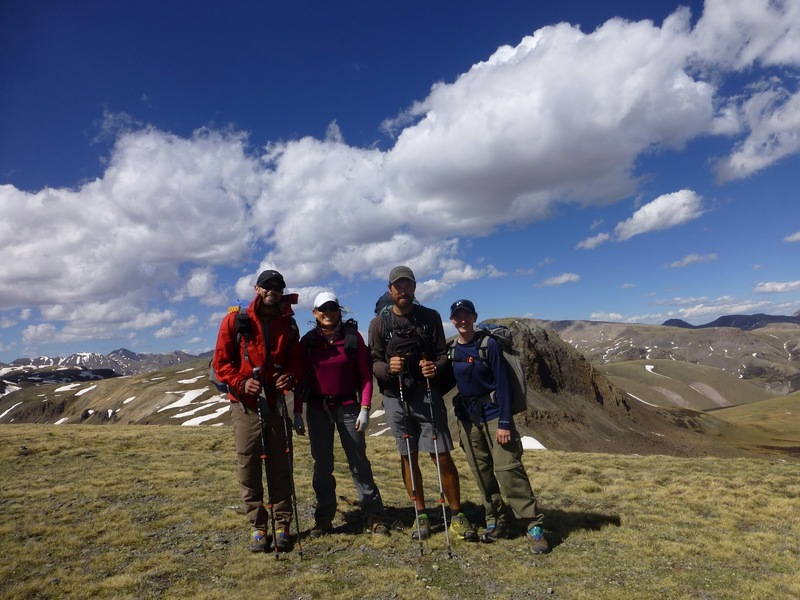 We hiked to a final destination of a beautiful lake site and arrived to find another CDTer and two Colorado Trail hikers. The CDTer was a solo woman named Burrito who is triple crowning. She has a friend joining her soon to do the rest of the trail. All six of us had dinner together and it was really great company. Burrito may try to join us in the 23mi push to town tomorrow. 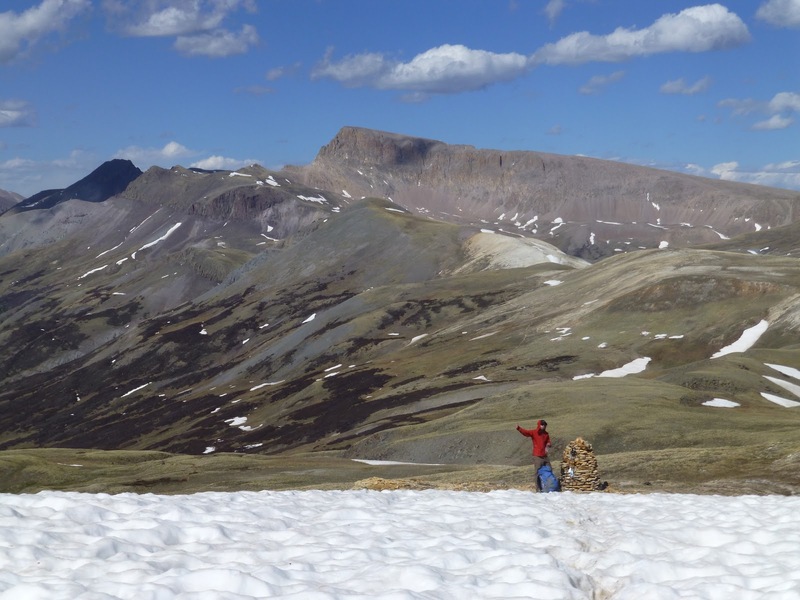 The trail is said to be much better than what we’ve been in, but quite high as we will go over 13,000ft tomorrow. On boy!